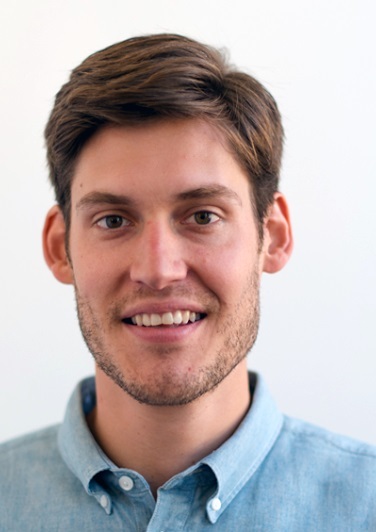 Linden Tibbets is the CEO and co-founder of IFTTT, a service that inspires people with the confidence to control their connected world. Linden graduated Santa Clara University, where he studied Computer Engineering. Before starting IFTTT, Linden developed his keen interest in all things design at IDEO. He is an ardent fan of radical ideas of all shapes and sizes. I got into computers as a young kid. I was also really interested in video games and movies, and wanted to work in a creative industry. Tech felt like a good fit, so I followed those passions to the Bay Area. I was hired at the design firm IDEO, in Palo Alto, as an engineer. Everything is becoming a service. And no one can quite agree on what interface will be the winner: AI, voice, bots, VR...etc. While many people are feeling overwhelmed, I think some are starting to see that there won’t actually be one interface or service to rule them all. Instead, I believe we’ll see more discussions about how we can bring control, confidence and compatibility back to users, across all services. We’ll need to work to give them the tools they need to shape and customize their reality. I think one challenge is that we’re always chasing the “next big thing.” This ties into the trend I mentioned above; in that we need to grapple with the idea that there is no one thing that will dominate, necessarily. Instead, people will live in constantly shifting ecosystems, featuring new services as well as ones they’ve used for years. The opportunity in that challenge is to make sure all of those services can work together, and help people feel comfortable living in this state of change. Inspiration for IFTTT, and your vision for it? IDEO was where I was exposed to a lot of the concepts that led me to IFTTT. In the physical world, I saw how we could take action to adapt things. You can use a hammer to prop open a door, or a pencil to tie up your hair. Those adaptations can go beyond what the original designer had planned for the object. To make those changes in the digital world, you had to be a programmer. So the idea for IFTTT came out of wondering how to bring that control, over the apps, devices and services we use every day, to a broader audience. What’s next for IFTTT in the near future? We’re probably the most focused we’ve ever been as a company. We’re exploring new ways to bring IFTTT to a broader audience, and think that prevailing industry trends align really nicely with our vision. When everything is a service, we’ll be well positioned to help people navigate and really maintain control over their environments. A part of that will be bringing more complexity to the IFTTT platform, beyond simple “if this, then that” statements, but I think it will be in a way people may not expect. That’s all I can say right now! Your key initiatives for the success of IFTTT? It’s all about great partners for us. There are over 300 Channels on IFTTT, and we have a waiting list of hundreds of businesses excited to develop on the platform. This tied into partnerships, as well. I’m very interested in design, and have strong feelings about how interfaces should look and work. However, we want to be enablers for our partners, and help them bring their vision of their Channel to life on IFTTT. This tension between our partner’s interfaces and ours is continuously challenging, but I believe we’ve learned a great deal about where and how IFTTT fits into a much broader ecosystem. This is easy. They try or buy a new service/product. They find out it works with IFTTT. Then they come to ifttt.com or download our app to find out how they can do more with that service, and connect it to everything else they use. We focus on building a company and a culture that’s consistent with our values. We stay positive and passionate. We think big. We work hard and take pride in our craft. As CEO, I prioritize transparency as well: we all feel more excited about what we’re doing if we clearly see how it ties into the company’s goals, and vision. I try to communicate openly and honestly every day. Being a leader means being a listener. That’s how you’ll learn the most.